This page created on 22nd June 1998, updated 21st December 2001. Any corrections, pictures, additional information or news gratefully welcomed. Plan drawings by Ian Smith are NOT scale drawings from originals, but based on a few known dimensions and (usually) a variety of photographs. In places inferences have been drawn where the photographic evidence is poor. They may be of use to modellers if printed out at a suitable scale. 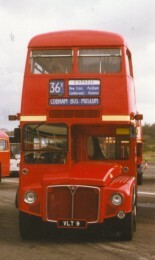 The Routemaster was written off by most commentators even before it went into production, as a design that was already obsolete. As a front engined, rear-loading, two-crew double-decker, it flouted "modern" thinking, that favoured high capacity, standee single-deckers for City use (the Continental view), and the British compromise that was being developed at that time: the Atlantean concept of transverse rear engine, front doors and the possibility of single person operation. As an old-fashioned rear loader it was criticised for its high cost and sophistication. All-aluminium construction, the lack of a formal chassis, fully automatic gearbox, air-operated brakes, air suspension, power steering, heated saloons! All very well for effete Londoners, but it wouldn't do out in the real world, where real men drove buses and didn't need cosseting with such innovations. 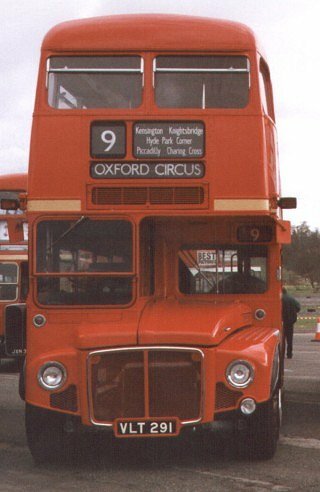 What is more, when it went into service, the Routemaster seemed to be proving its critics correct. The "modern systems" needed a lot of unfamiliar maintenance, especially in the trolleybus depots where they first went. The automatic gearboxes at first gave a jerky ride that wouldn't be equalled until the bread-van invasion of the nineties. They broke down, often. When this happened again later with the Merlins, Swifts and Fleetlines (classes that didn't have the six-year gestation that the RM had), those fleets were written off and replaced. 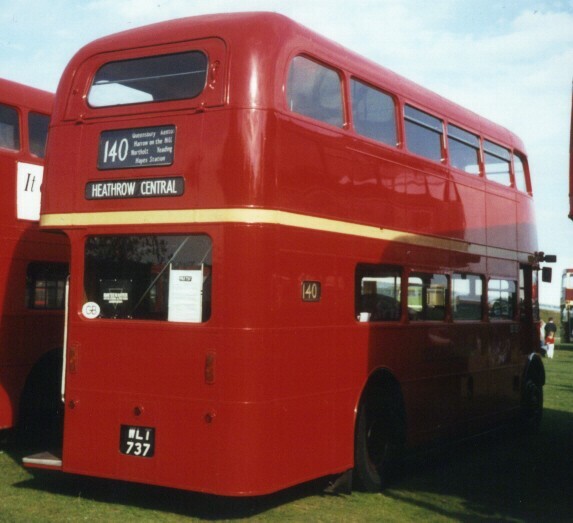 But with the Routemaster London Transport persevered, working through the problems until they were solved, eliminated or reduced to insignificance. They MADE the Routemaster work. So much so, that now, forty years on, hundreds of them are still working every day in London. Indeed, in 2000 some have been bought back from other operators and preservationists for refurbishment and further use in London. We haven't seen the back of the Routemaster in London yet! So much so, that the Routemaster is recognised around the world as "the London Bus", and several hundred are scattered around the globe after retirement from LT. So much so, that in the heady days of competition, at the start of deregulation and privatisation, before the big groups took over and suppressed it, provincial companies bought 35-year-old RMs to provide a faster service than that possible with OPO buses. 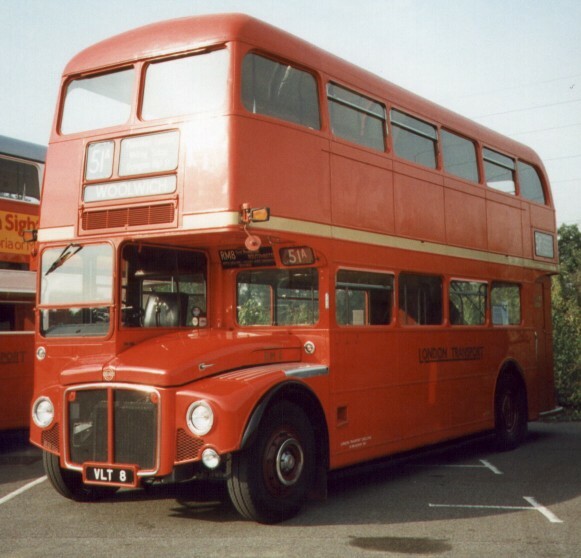 Routemasters were not "standardised" buses, like the RTs. They were a whole family within the one number series, with red ones, green ones, short ones, long ones, bus ones and coach ones. There were airport variants, later adopted as buses. Some had AEC engines, some Leyland. 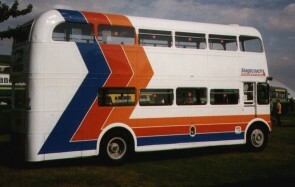 Some were rebuilt with Iveco engines, others with Cummins. There were some with 12 volt electrical systems, and some with 24. Some had opening front windows, others didn't. Some had bullseye motifs on the bonnet front, others had AEC triangles on the radiator. Some had neither and a few had both! Here was variety in rich abundance, heightened by the Aldenham system of maintenance that separated body and running units and reunited them with different partners, so that changes spread through the system. RMC 1469 restored to Greenline livery, at North Weald Rally, June 98. 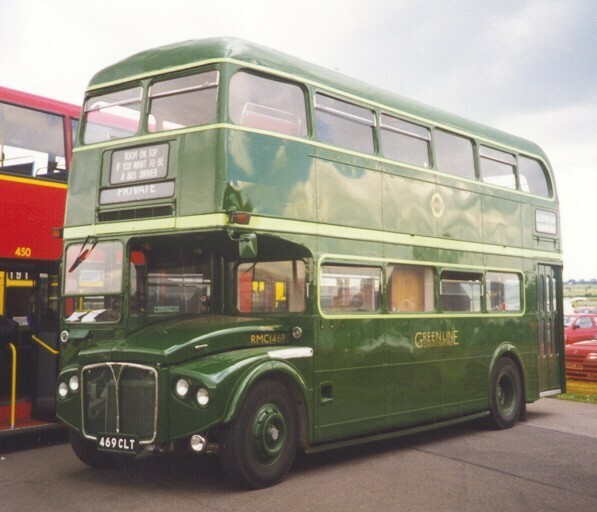 When LT Buses was broken up, the RMs were divided up not in neat number blocks, but as they were currently allocated: a totally random mix of ownership! Keeping track of RMs can be fun! The Routemaster story is a long and complicated one, and will take some time to put up on the pages. The list below is where it is going, but at first many pages will be far from complete, or even non-existent. Start of this RM page. Scroll down for the Routemaster links. London Bus Preservation Trust : The Cobham vehicles: brief histories and some superb pictures. 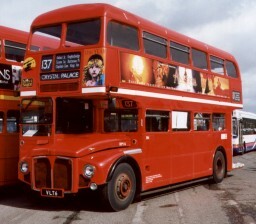 London Country Bus Services : Jonathan Wilkins' pictures and histories of preserved vehicles. 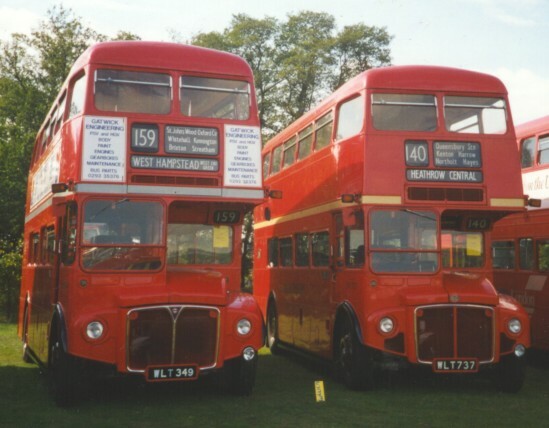 Routemasters Owners and Operators Association. Routemaster asbl, RM1138 in Luxembourg. Overground: Lars Richter's RM Photo Gallery : a superb gallery of RM photos in every livery imaginable!. The Old Bus Garage. John Hinson has lists of current UK owners of preserved RMs.